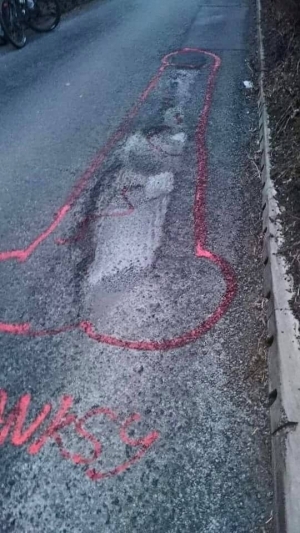 A mystery street artist who calls himself Wanksy found a way to get his local government to fix the potholes on the roads in the greater Manchester area, by drawing penises over them. 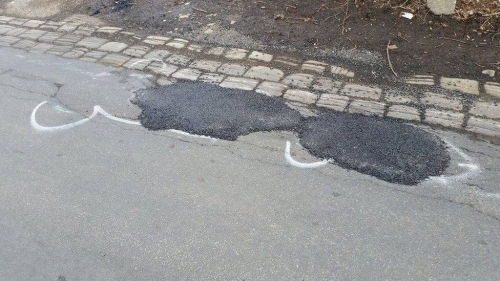 The mystery campaigner, whose works are all completed in non-permanent paint, said: “The roads of Manchester are in an appalling state, especially around Bury. "I have cyclist friends who have been hospitalised. “They damage vehicles. 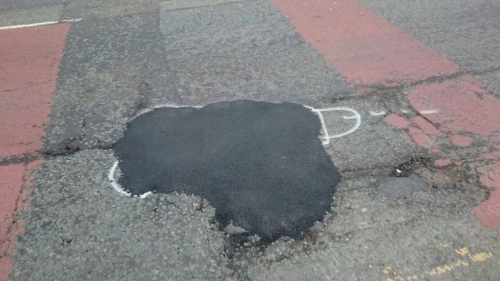 Sometimes it’s hard to know which pothole caused the damage because there are so many. 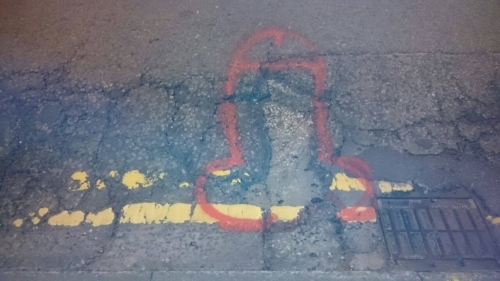 He added: “I wanted to attract attention to the pothole and make it memorable. "Nothing seemed to do this better than a giant comedy phallus. "It’s also speedy, I don’t want to be in the road for a long time. It seems to have become my signature. 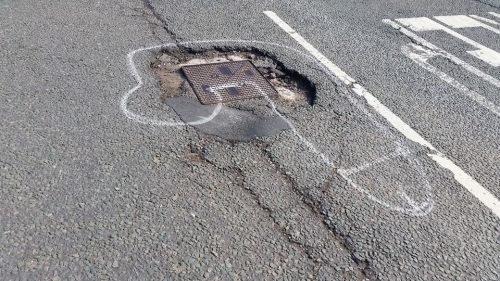 And he insists his methods are highly effective - with year-old potholes filled within 48 hours of his artwork. Others are fixed in a week.